Today me and Scottie had an outing to our second ever dressage show and needless to say, Scottie was an absolute star! Despite being there in plenty of time, I messed around and left myself only 10 minutes or so to warm up. 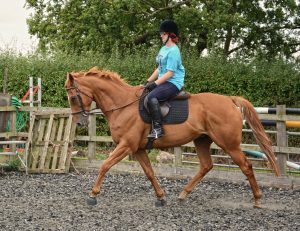 However, as soon as I was in the warm up area, we were working nice and round in walk and trot, so I wasn’t too worried. I thought our Intro was great. Scottie had a little look at the huge mirrors before we started our test. But he was fine once we started and didn’t look at them or the white boards once. Our test was a tiny bit messy in places, we drifted off the centre line a little bit and we weren’t very consistent in our contact. But over all, I thought it was a really nice test. However, it didn’t score as well as I thought it would. The main comments from the judge were to do with being wobbly down the centre line, which she penalised us quite heavily for. This isn’t an issue we usually have though. She also said we need a steadier contact, which I was expecting after the test! Our Prelim was much better! This was our first prelim at a show (not online with E-Dressage) and is only our 3rd ever Prelim and all I can say was Scottie was fantastic. Despite standing around for about an hour after our last test, Scottie worked well in the warm up ring and we got both our canter leads and did some nice trot work in an outline afterwards. He got a bit fidgety waiting to go in the ring, but as soon as he was in, we quickly settled and by the time the bell rung for us to start, we were trotting around beautifully. We were a bit more forwards in the Prelim, but as soon as it had finished I knew it had gone better than our intro had. 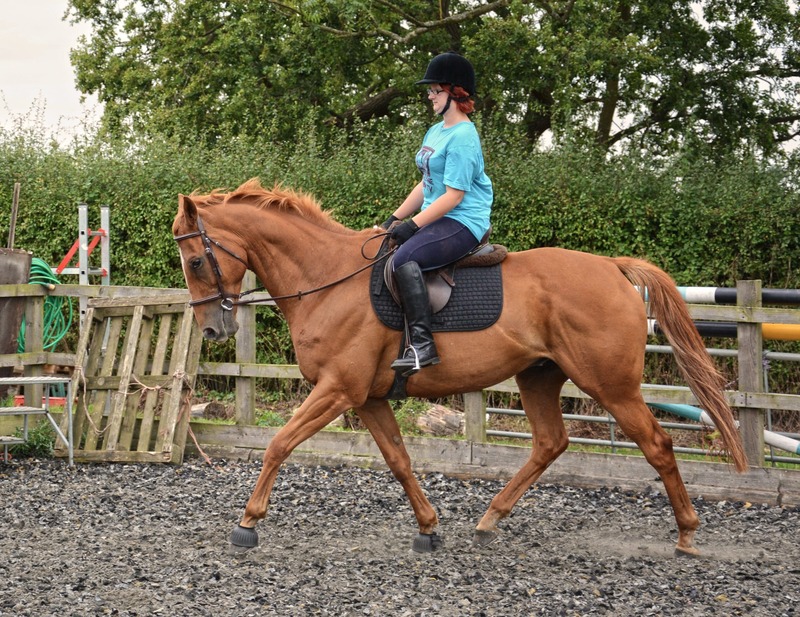 We had a much more consistent outline, we were straighter down the centre line, we got both our canter leads and were almost rounding at points in our canter! I was so pleased with him and he couldn’t have done any better! And this showed in our scores! It was a different judge for the Prelim and we managed to get 65.75%! I couldn’t believe it. We scored mostly 7s and 6.5s throughout the test. We even got 6.5 for all our canter work! The main comment we got throughout the test was that he was a bit tense and the judge left a really nice comment about it at the end saying that Scottie has 3 nice paces but tension is stopping him from showing them off to his best ability. Which is so true! However, I know that as we improve in canter, we will relax more, allowing him to use his back better. Our collectives were very good too! I’m really pleased with Scottie and he has proved that there is nothing stopping him from performing just as well at shows as he does at home and that he is really ready to be doing prelims more regularly! I am now really looking forward to filming this months E Dressage tests! Especially now the racehorse section has a different class for each test!